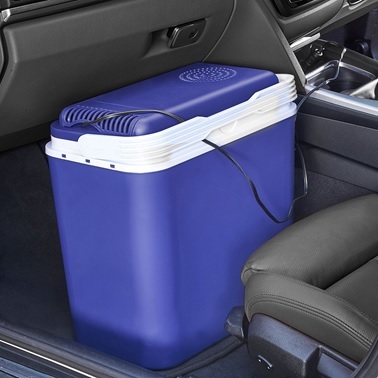 Unlike cool bags or cool boxes which usually require ice packs to keep food and drinks inside cool, an electric cool box can simply plug into the cigarette lighter in your car making it a car electric cool box. Some models will also have a mains adapter so it can be used at home as well. This way the temperature can be adjusted and controlled to keep the items inside cold. 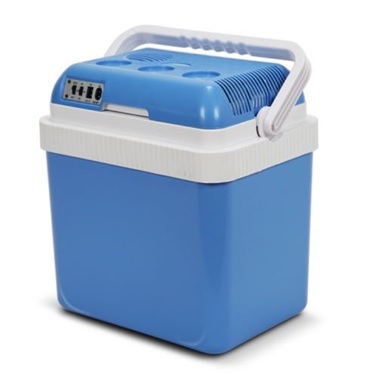 A portable electric cooler is a good addition if you have a picnic basket or backpack cooler bag as it’ll keep food and drinks chilled, it’s also ideal for road trips, camping or just simply for home use. Some models are also an electric cool box heater as it can be used to keep food warm as well! 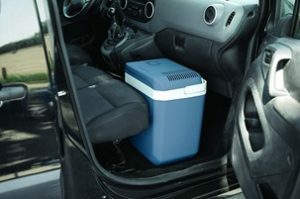 Although not as efficient at keeping food and drinks cold as a portable fridge, an electric car cool box is still a step up from the standard cool box. If you’re unsure whether an electric or standard cooler would be better for you then we’ve compared the two items below so you can decide. If our comparison table didn’t provide you with enough information to make a decision, then perhaps our best electric cool box reviews below, will provide you with the information you need to make a choice. Choosing the best electric cool box should be quite an easy task if you know that it is an electric cooler you want and not a standard cooler or portable fridge. Just in case you’ve forgotten to take certain functions into account, we’ll go through the list of features below. Capacity – Measured in litres, this is how much space is inside the cooler. 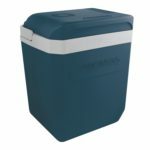 If the cooler is only going to be for say two people for short trips then you can probably get away with one with a smaller capacity as it’ll take up less room and generally be cheaper too. Power input – Ways which the electric cooler can be powered by, pretty much all of them will come with a 12V plug so you can plug it into the cigarette lighter socket in your car. Some will also have the option to plug it into the mains so you can use it at home as well. There’s usually a small compartment in the lid which is used to store plugs and cables, so this way you won’t have to leave it lying around or risk losing it. Maximum cool temperature – The cool temperature can usually be adjusted to make it colder, this is the highest cool temperature it can reach. Maximum heat temperature – If the electric cooler has the option to switch to heat mode, then it can keep food warm, not heat food up. This is the highest temperature the cooler can go to when it’s on heat mode. Dimensions – This is the dimensions of the outside of the cooler, the inside dimensions will be smaller but it will still give you an indication of roughly how big it is inside. Weight – Most of the portable electric coolers are quite light as they are designed to be portable, so the weight is not really an issue in this case. If you’re unsure what one is more suitable for you, we’ve listed what each one is ideal for along with the pros and cons so you can decide for yourself. Better for any trips involving use of a car such as road trips or camping. Able to monitor and control the chill temperature. Some will also have the function to keep food warm. No time limit to how long you can maintain the temperature for. Mess free as you don’t have to place ice or ice packs inside. If you use the battery from your car to power the cooler, you run the risk of draining the car battery if the car is not running. Better for garden use or trips that are close to your home. Less room inside the box as you need to fill it with ice or ice packs. Difficult to maintain or control the temperature. The ice or ice pack will eventually melt. Not ideal for keeping food inside as the ice will turn into water making the food wet. Has a capacity of 30 litres. Choose between two power inputs – 12V DC or 240V AC. Keep your food colder by 15-18°C below the surrounding temperature. You can also keep your food warm at 50-65°C (according to the thermostat). Motor has a long lifetime of 30,000 hours. Motor can be quite loud. This car electric cool box can be plugged into both your car and one of the plugs at home! Perfect for keeping your drinks cool when you’re having a garden BBQ grill gathering and the fridge is too full! Whether you want to keep your food cold at 15-18°C below ambient temperature or warm at 50-65°C, you can store up to 30 litres in here. You don’t have to worry too much about the coolbox suddenly not working since the motor has a rather lengthy lifetime. Has a capacity of 29 litres – can also carry standing 2 litre bottles. Connect it to the mains with a 230V AC plug or to your car with a 12V DC plug. 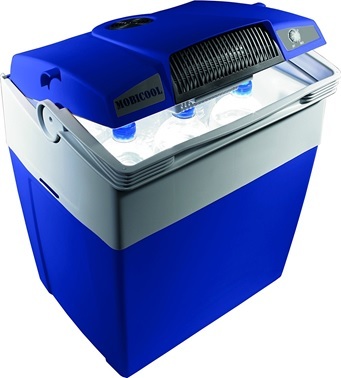 Keep your food and drinks cool at 20°C below ambient temperature. Double fan powered cooling system helps keep your items cool. 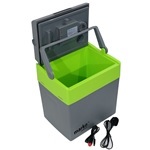 Waeco’s camping cool box can carry many 2 litre bottles, or alternatively, 29 litres. To keep your items cool, plug in the cool box to the mains or to your car and the double fan powered cooling system will whirr on. Like this, your items can be kept cool at 20°C below the surrounding temperature. Has a capacity of 22 litres. 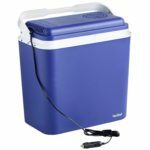 Power this insulated cool box with a 12V DC connector by plugging it into your vehicle’s cigarette lighter. Can keep your food and drinks at 8-12°C below ambient temperature. The handle has a lid lock, so that you can be sure about your cool box’s lid security. Also, the lightest cool box out of these five products at only 3.1kg! Can only be used to plug into your car’s cigarette lighter socket. 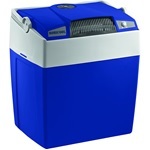 This portable electric cooler is insulated and can carry up to 22 litres. Plug it into your vehicle’s cigarette lighter with 12V DC connector and it will keep your food and drinks cool at 8-12°C below the surrounding temperature. You never have to worry about the security of your cooler box since it has a lid lock! Even better, it has a two year warranty. 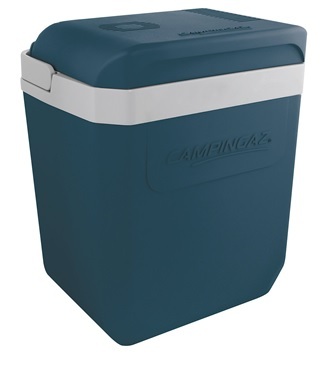 Has a capacity of 24 litres. Plug this into your car with a 12V DC cord and plug, which can easily be removed and stored within the cooler when not in use. Never worry about your milk spoiling when this cooler can cool to 20°C below ambient temperature. The antimicrobial lining prevents odour, mold, and mildew from developing. The fan is quiet, at a max of 39dB. Fan is actually noisier than stated. 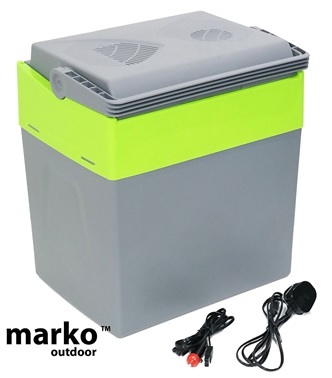 If you hate bad odour, mold, and mildew more than anything else, then it will comfort you to know that this electric cooler has an antimicrobial lining that ensures they won’t develop. 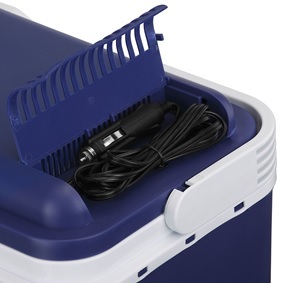 Able to keep your items at 20°C below ambient temperature, when plugged in with a 12V DC connector. And if you are a light sleeper, it should be reassuring to know that the fan has a max of 39dB. Can carry up to 24 litres. To power this warm and cool box, plug it into your car with a 12V DC plug or into the mains with a 230V AC plug. With the environment-friendly peltier cooling system, keep your food cool at 15°C below ambient temperature or warm at 65°C by the heater, and it will only consume 48 watts. The motor has an astonishing lifetime of up to 30,000 hours. Sealed lid to keep things fresh and an easy to clean, CFC free polyurethane-foam liner will keep stains and odour from developing. Easy to carry with the swinging handle and also has a removable shelf to have an area for dry storage. Condensates a lot, so a pool of water can often be found at the bottom. This warm and cool box can, as you can guess, keep your food and drinks both warm (65°C) and cold (15°C below ambient temperature). It can be plugged into both your car and the plugs at home, so you can have it anywhere really. If you’re worried about staining and odour, then you shouldn’t because the gasket lid will prevent that from happening. Last, but not least, there is a removable shelf, so that you can divide your items however you want.